AIADMK supremo Jayalalithaa was today acquitted by the Karnataka High Court in the 19-year-old disproportionate assets case, a verdict that is sure to put her back in the Tamil Nadu Chief Minister's seat. "All the appeals have been upheld and the convicts have been acquitted," Justice C R Kumaraswamy said as he read out the operative part of the judgement at 11 AM sharp, a minute after entering the jam-packed court and the whole proceedings wrapped up in about four minutes. Setting aside the trial court verdict, the single bench judge also exonerated AIADMK chief's close aide Sasikala Natarajan and the latter's relatives J Elavarasi and V N Sudhakaran, disowned foster son of Jayalalithaa, giving relief from the conviction of four years for all. As the judge was still in his seat completing formalities after reading out the operative portions, AIADMK supporting advocates present in large numbers in the court hall congratulated each other and also gestured to the judge raising their hands in gratitude. As the judge left the court room, the advocates lifted one of their senior colleagues on their shoulders raising slogans praising Jayalalithaa, to which few senior lawyers and police officials objected asking them to respect the decorum of the court. 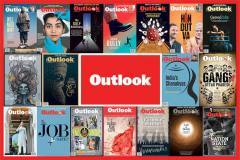 Welcoming the verdict, Jayalalithaa said, "It has confirmed that I have done no wrong. The case was foisted by political enemies. The judgement came on appeals filed by Jayalalithaa and three others against the verdict of Special Court Judge John Michael D'Cunha who had on September 27 last held her and three others guilty of corruption. He had awarded four years jail term, due to which the AIADMK supremo attracted disqualification as an MLA. The lower court judgement automatically disqualified Jayalalithaa as an MLA and unseated her from the chief minister's post. Now with the High Court's clean chit, she is expected to assume reins of office at Fort St George, with the judgement coming as a significant political turnaround just one year ahead of Assembly elections in Tamil Nadu. EC sources said Jayalalithaa will have to contest the election again to become a member of the Tamil Nadu Legislative Assembly. Speaking to reporters outside the court, B Kumar, senior counsel for Jayalalithaa said the prosecution case made by the "then DMK government now stands dismissed"
"The consequence of this pronouncement is that she is entitled to resume the office of Chief Minister," a beaming Kumar said. Kumar said the High Court had set aside conclusions by the lower court and the prosecution had failed to establish and prove the value of civil constructions valued at Rs 28 crore, as part of the case, and upheld Jayalalithaa's version that the construction cost is reasonable and acceptable. The court had also held the defendants' contention that among several judgements the trial court had overlooked and not considered the binding nature of various Income Tax orders and decisions of the appellate tribunal of the Income Tax which had accepted the income and level of expenditure of Jayalalithaa, he said. As soon as the news of her acquittal spread, AIADMK workers broke into celebrations, bursting crackers and distributing sweets in many parts of Tamil Nadu. Justice Kumaraswamy gave the verdict just a day ahead of the three-month deadline set by the Supreme Court to complete the hearing on appeals by her and three others. 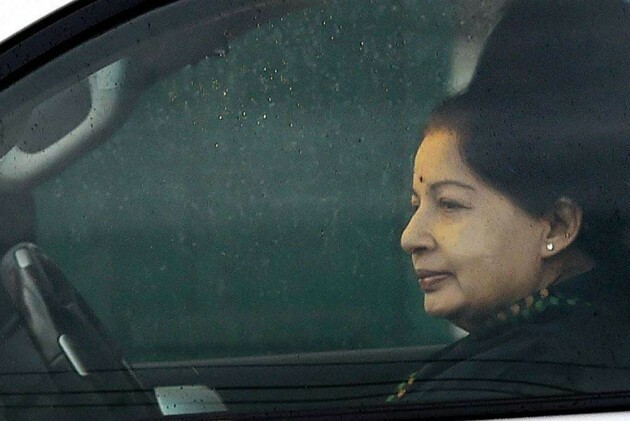 The 67-year old Jayalalithaa was not present in the court, as, according to the Criminal Procedure Code, the accused are required to be present only in the trial court. Special Public Prosecutor B V Acharya said the state of Karnataka was the sole prosecuting agency in this case, as the Supreme Court had stated, but it had been "denied adequate opportunity before the High Court." Acharya said the "total effect" was that the state of Karnataka and the Public Prosecutor appointed by it was denied an opportunity to convince High Court judge through oral arguments, which had "seriously prejudiced" the case of the prosecution. He said on behalf of the accused, the appellant lawyers made their arguments for about two months during which time there was no Public Prosecutor in place appointed by Karnataka government. "So the entire proceedings have gone on without a validly appointed Public Prosecutor." Acharya noted he was appointed as SPP on April 22 after the Supreme Court order which had said SPP can file written submission within one day and there was no chance for oral arguments. "So the High Court judge could not give me an opportunity. So the total effect is that the state of Karnataka and the Public Prosecutor appointed by it was denied an opportunity to convince High Court judge through oral arguments. This has seriously prejudiced the case of the prosecution." The Supreme Court had quashed the appointment of Bhawani Singh as the SPP holding it was "bad in law", following which Acharya, who had earlier resigned as SPP, returned. In his written submission in the High Court, Acharya had prayed for dismissal of appeals filed by Jayalalithaa and others. With the trial verdict failing to pass the higher court's scrutiny, it is a political bonanza for Jayalalithaa who had to step down as Chief Minister after her disqualification following the conviction. The Special Court verdict had rendered her disqualified under the Representation of the People Act from contesting elections for a period of 10 years- four years from the date of conviction and six years thereafter. After the Special Court had convicted her, Jayalalithaa had moved the Karnataka High Court challenging her conviction and sought bail, which was rejected, leading her to knock at the doors of the Supreme Court. On October 17, 2014, the Supreme Court had granted her bail and she was released from jail the next day after spending 21 days in prison. The Supreme Court had on December 18 last extended Jayalalithaa's bail by four months. A bench headed by CJI HL Dattu had ordered that her appeal challenging conviction in Karnataka High Court be conducted on day-to-day basis by a Special Bench. Justice Kumaraswamy, who heard the appeals, had reserved the order on March 11 after defence counsel filed their replies challenging written submissions made by BJP leader Subramanian Swamy, the original complainant in the case. During the hearing of the appeal, Jayalalithaa had contended that the then DMK government-led investigation had deliberately over-valued her assets and that she had acquired the property, including jewellery, through legal means. Jayalalithaa had lost the Chief Minister's post twice following conviction in graft cases -- in 2001 and 2014. She had been charged with accumulating Rs 66.65 crore wealth disproportionate to known sources of her income from 1991-96 in her first term as Chief Minister in the case that has seen many political and legal twists and turns. The case was transferred to the Bangalore Special Court by the Supreme Court in 2003 on a plea by DMK, which claimed a fair trial cannot be held in Chennai as the Jayalalithaa-led AIADMK government was in power.